Many gifted people live out patterns of resistance and self-sabotage in their self-development and in their relationships with others and with themselves. InterGifted coach Max Sawyers explores the "why" of gifted resistance and self-sabotage as well as a theory of how some of us are unwittingly living in a self-generated reality which keeps us looping around and not making progress on our goals. Then he explores how we can make breakthroughs so that we can exit that loop. As a coach for gifted adults (especially gifted men), my main goal is to provide my clients with the tools they need in order to walk the most constructive path towards their self-chosen goals. And while that may sound simple enough, the process can often be taxing for both my clients and myself, particularly when there is a misalignment between my clients’ goals and their willingness-readiness to work hard in order to achieve them, and between their need to receive external support and their openness-awareness to receiving guidance from me as their coach. Clients who have experienced significant wounding - both culturally and personally - often struggle with patterns of resistance, denial, and self-sabotage; this even though they are highly intelligent. This is often because wounds we have incurred growing up gifted. Culturally, gifted people are not rarely labelled or judged by others as strange or out of place and most of us have had to grow up with that social dissonance as part of our everyday reality. In our personal lives, many of us have faced gifted-specific difficulties within our family and social dynamics while we were developing. Some of these wounds are detailed in Jennifer Harvey Sallin’s article on Gifted Adults & Second Childhoods: Revisiting Essential Stages of Development. These wounds can lead us as children to make decisions about "the way life is" and about how our brains "should be", which match what we were told or modeled by the world around us - or what we told ourselves in order to survive in our particular context (these decisions were usually linked to carried emotions). The more dysfunctional our context, the more maladaptive our decisions tend to be about who we are and what we should be or do. For example, we may feel we are strange, that we shouldn’t be sensitive, that we shouldn’t have our natural drive to evolve, learn and grow, and so on. And then as we grow into adulthood, we try to live by those decisions and reject anything that questions them - even when the counterfacts would actually work in our favor for our personal growth and thriving in life. As for myself, I grew up in a very small country town, with no diversity to speak of. My family were not well educated people, and as an unrecognized gifted kid in their world, I received no healthy encouragement towards intellectual or educational goals. Moreover, arguments were considered “normal” in my family and all out fights - both verbal and borderline physical - occurred at least every few months. I experienced all manner of emotional and physiological abuse both related to my outlier mind and more generally as a person. In order to survive growing up in an environment of dysfunctional relational interactions, and where the development of my gifted mind was extremely stunted, I subconsciously turned toward self-harming and dissociative patterns of behaviour. I engaged my family members in a subservient manner - I was the family “peacekeeper” - and did my best as the years progressed to keep a low profile. Since my (unrecognized) gifted mind by nature always wanted to expand and grow, this meant I needed to engage in active resistance to my own mind’s evolution. In order to do this, I became aggressively avoidant and resistant to anything that was new and good for me. Even the basic tasks of learning new skills or asking for help became “dangerous" to me. As I entered adulthood, I felt I had completely lost my passion for creative exploration and learning. It wasn’t until I moved out of my family's home that I learned of my gifted (and autistic) sides and saw that I was truly living in an endless loop of denial, resistance and self-sabotage. It’s fair to say that my partner Silver Huang - also an InterGifted coach and founder of InterGifted’s partner project Intrepid Integrity - was the catalyst that brought me back to reality. Silver, who is also gifted-autistic, recognised the familiar gifted and autistic patterns of behaviour I was exhibiting in social situations and encouraged me to learn more about them. Though I was still avoidant/resistant to learning anything that felt new and potentially dangerous, in this case, it didn’t seem to require any immediate change to my reality so I slowly looked into the information and over time found myself opening up to these concepts. Understanding and accepting my autism was much easier than considering the possibility that I was gifted. I was able view my autism from the perspective of traits, behaviours and quirks that I learned to identify during social interactions. My giftedness, on the other hand, was shrouded by my upbringing. Given that I had worked hard to shut down my gifted mind’s curiosity and openness to its own evolution, it appeared to me as though I had far more evidence to support the “facts” that I was in no way someone with intellectual "gifts”. Still, with Silver's encouragement, I pressed on, and I learned more about the varying levels of giftedness, as well as Kazimierz Dabrowski's concept of overexcitabilities. Getting a clear understanding of my giftedness level and the types of gifted “expressions” or “areas” that I excelled in made me painfully aware of the impact my upbringing had had on my development and my self-perception. At some point along the way, the evidence became overwhelming and I could no longer resist the notion that I was gifted. As I continued to overcome resistance to new data and get out of my denial and self-sabotage loop, I used the new data I was gaining to deconstruct my previous perceptions of myself and what I had thought giftedness to be so that I could see myself more clearly. Over the course of my self-discovery journey, I decided that I wanted to be able to help other gifted adults in becoming more aware of the negative impacts of their cultural and personal backgrounds upon their processes as gifted individuals, and to be able to overcome adversities that have resulted. To do that, I’ve been training with Jennifer Harvey Sallin and with her support, I’ve been developing a theory on the Gifted Dynamics of Resistance. I have named it the Self-Generated Reality (SGR) Theory. For the purposes of my work, I define resistance as the refusal to accept or comply with something. As in my case, many of us go through a stage of resistance when we first discover our giftedness, as explained by Jennifer Harvey Sallin in her article The Stages of Adult Giftedness Discovery & How Coaching Can Help. Like I did previously in my life, when we feel threatened by information, we try to push away that which is unfamiliar or potentially life shattering to our current existence. This can, of course, apply to anything, such as psychological insights, awareness of our uniqueness, feedback about the harmful effects of our behaviors, and - especially for us men in these last few years - the growing awareness about abusive behaviors many of us have unwittingly been recreating in our lives and relationships. My definition of “self-generated reality” in the case of a gifted individual is: living or behaving in a manner consistent with personal or cultural experiences of self-limiting learned behaviour; this is in such a way that the individual's capacity for awareness, openness and self-reflection both to their gifted-specific and non gifted-specific capacities and qualities is limited or, at the extreme, completely shut down. The self-limiting behavior may have been learned via family dynamics, cultural influences, educational experiences and experiences with perhaps well-meaning but off-the-mark helping professionals. It forms a basic pattern of resisting self-awareness and self-growth in favor of maintaining the past cultural or personal limiting life-pattern. What I've noticed is that the SGR experience seems to be most readily found in gifted men - not that it is not found in women or in gender non-conforming individuals. However, it seems that for men*, this SGR experience is particularly strong, and I suspect that this is due to the heavy cultural conditioning that many of us men received to always be strong, never question ourselves, and always protect our egos. (*I’ve chosen the specific area of male resistance as my coaching specialty, so “men” in this context stands for people who were born with bodies traditionally assigned as male and who continue to identify as male). To better explain this model, I’ve broken it up into three categories; causes, effects and outcomes. The causes of SGR I’ve (so far) identified are developmental trauma, abuse or neglect, stunted growth as a result of limited educational stimulation or cultural conditioning, and a lack of healthy encouragement or mirroring from family and peers. The effects these causes have on an individual in later adolescence and adulthood are unchecked self-opinionated beliefs leading to unhealthy, non-constructive dynamics dominating a person's behaviour, and an element of egotism born from an individual's need to be right in everything they think, feel and behave, as a manner of self-protection. The outcome of this process is that the individual encapsulates themselves in their self-generated reality, perceiving and behaving in a reality inconsistent with that of the outside world. They project a front of resistance to any notion or suggestion that they are living outside reality and as a consequence, bar themselves from possibilities of healthy constructive change. In a nutshell, SGR is designed to keep you in your self-contained bubble. It protects you from experiencing anything uncomfortable or inconsistent with the reality in which you’ve (often unwittingly) chosen to reside, while at the same time preventing you from being able to grow healthily as a gifted person. The possibility that you may be wrong, that you may need to change, or that no matter how difficult it may have been to get to this point in your journey, in order grow, heal and create fulfilling relationships requires more effort from you, can be very scary realizations. Your SGR reality pushes this possibility away, as anything representing “pain” or “danger” is met with a flight or fight response. In some ways, SGR acts as a deferral mechanism, always pushing the consequences of itself to tomorrow. A concrete example of what SGR looks like in a coaching client is a later adolescent or adult of any age carrying a conscious narrative or belief that "nothing's changing but I'm doing everything right" or that “I’m doing this the right way, and if life or others aren't responding well to my way, life and others are the ones who are wrong”. Of course, sometimes others are misinformed or misguided, and sometimes you're doing everything well and things are not (yet) progressing. However, SGR blocks one's ability to see and acknowledge the possibility that the issue preventing progress lies with the self, not with others or others’ processes (which is also sometimes - and rather often - the reality of the situation). It turns every effort of personal development to achieve a goal into a loop: at the beginning of a venture, some progress may be made, but eventually SGR catches up and you find yourself rejecting the growth process in spite of yourself. In coaching, we work hard to get out of the loop, identify one's areas and patterns of resistance, denial, self-sabotage and projection, and to, as Jennifer Harvey Sallin says, come to operate in a reality-based way, so that true progress - and importantly genuine and meaningful connection with others - can be made. The meaningful connection with others point is a key issue with SGR: SGR is problematic as it by nature requires that others confirm or validate one's SGR beliefs, otherwise there is necessarily relational conflict. This causes the SGR-afflicted person to have to act by force, coercion or other manipulative tactics to get others to validate their self-perceived need to continue to be resistant. This obviously puts others in their life in a double bind: if they validate the resistance, that means the SGR person will continue to stay stuck over the long term; if they don’t validate it, they may have to deal with backlash, conflict or coercive techniques in the short term. This is not a fair social exchange, and thus individuals stuck in an SGR relational loop often find that they are operating in non-consensual and, at the extreme, abusive, ways. From this relational position, intimacy is extremely hard to create, experience or enjoy. In general, the individuals I have met who operate with an SGR show a consistent pattern of unhealthy expectations regarding others’ opinions and perceptions of their contributions to relationships and to their work content. Naturally, if an individual wants intimacy with friends, family and partners, or wants good working relationships with bosses, colleagues or coaches, they will need to be open to honest feedback and ready to co-weave the fabric of the relationships. However, SGR makes feedback, opinions and demands from others "dangerous" and thus the SGR-afflicted individual usually has preconceived expectations on what others' opinions should be and avoids any feedback or demands that do not match their self-determined loop. If they feel the data coming their way doesn’t match with their reality, they will likely disregard it; consequently, people in their lives often feel manipulated, ignored, neglected or disregarded. This creates a really dangerous cycle, as the individual will refuse or ignore healthy guidance and criticism regarding their efforts in relationships and at work, then wonder why they aren't making the progress they want to make or creating the intimacy they want to create. One of the best ways to become more self-aware of your blocks is to engage in a regular practice of self-reflection - specifically reflecting on how your thoughts, actions, feelings and attitudes are helping or not helping any given situation. When we reflect on our actions, thoughts and feelings over time in response to any given situation or problem, we gain experience in our own awareness. Often, it is the simple questions that lead us to the biggest revelations that help us move forward. For example, if you are frustrated with a process or relationship not working in your life, rather than asking yourself, “why isn’t this process/relationship working?” - which can be too vague a question in this context and can take attention away from the self -, try asking “is there something I’m doing that’s hindering this process?”. This is in no way to encourage self-blame or self-pity, but rather to encourage self-honesty and self-responsibility. One way to develop an honest and empowered practice of self-reflection is through mindfulness. 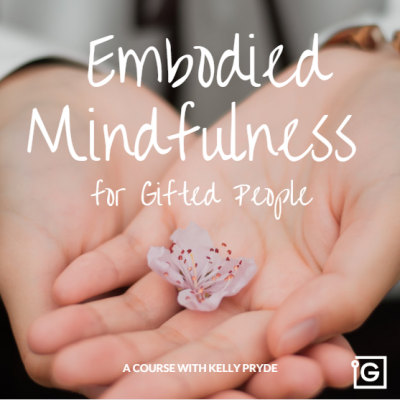 Our InterGifted coach Kelly Pryde is doing important, ground-breaking work toward uniting mindfulness with gifted-specific psychology via InterGifted's partner project The Gifted Mindfulness Collective. There you can learn more about mindfulness, take a course, join the community & events, or get mindfulness coaching with Kelly. One of the best ways to tackle SGR is to build a diverse social structure where you engage with many different people, including and especially fellow gifted people (especially those whose giftedness level matches, or comes close to matching, yours). Everyone has an experience, perception or piece of data to offer others, and it is in social situations that we learn and grow as individuals. It is in gifted-matching social situations that we find others who can spot inconsistencies in our logic and challenge our SGR at an intellectual level that gets through our resistance. Sometimes, as gifted people, we can trick (manipulate) less intellectually-agile people into taking our word for it, and thus continue to “fool” ourselves. The more accurate and intellectually-matched data coming your way, the more chances you have to build a mountain of accurate self-knowledge to better yourself in every aspect. If you are constantly on your own, or only on your own among non-gifted or less-gifted peers, then no one will challenge you at your level, and seldom do we challenge ourselves when we are “safe” and “comfortable” in our own realities. You can learn more about the value of interacting with same-level intellectual peers here and more about giftedness levels here. To start connecting, our InterGifted communities offer a wonderful environment filled with gifted mavericks from cultures, backgrounds and experiences all around the world. If your struggles with resistance or self-sabotage come from your rejection or denial of being gifted or twice-/multi-exceptional, it is worth taking the time to open yourself up to learning about and being honest with yourself about your unique brain and what it needs. 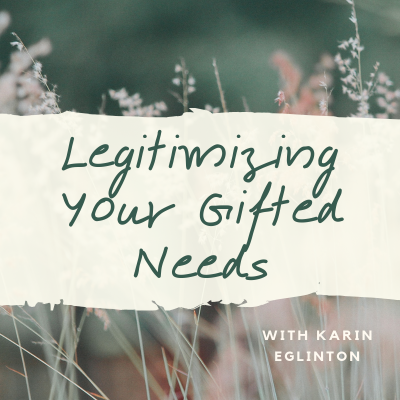 Continuing to reject your giftedness and/or other exceptionalities can harm you, your relationships and your self-expression in ways that only ingrain your resistance and self-sabotage patterns more. 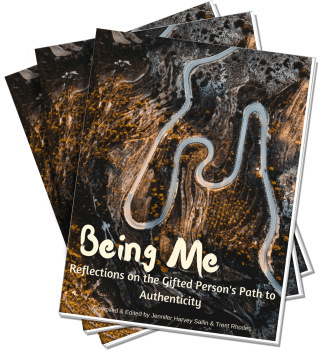 You may explore having a qualitative giftedness assessment with my partner Silver Huang or InterGifted's founder Jennifer Harvey Sallin (learn more about that here). 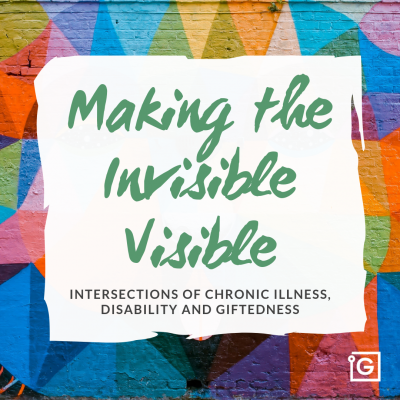 Or you may benefit from reading our many articles here on the blog or our community ebooks, which detail what giftedness is and what it looks and feels like to live with a gifted brain. If you feel that SGR fits your current situation, don’t pressure yourself to figure it all out on your own. After all, SGR is a problem of aloneness to begin with, and since it is based on patterns of resistance and denial, it is likely that you will struggle to identify all the patterns and ways out on your own. Gifted coaching or mentoring is a resource that you can utilise in order to "get out of your own way", so to speak, and reach your full self-development and relational potential. I welcome you to reach out to me or to another one of our InterGifted coaches if you would like to explore getting support in the constructive, hands-on process of coaching. 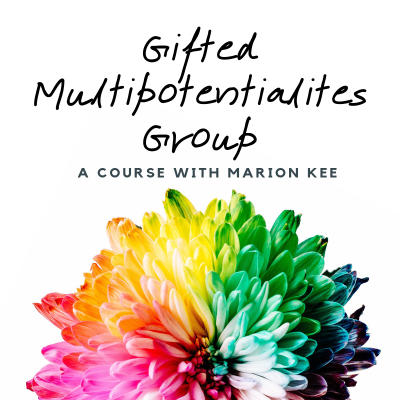 If you're a gifted man, you may consider joining my upcoming bootcamp for gifted men (currently in development with InterGifted - stay tuned for updates!). We will be working to develop the qualities of humility, vulnerability, honesty, transparency, gratitude, intimacy and courage. It will be an especially meaningful program for men who struggle with SGR-related issues, such as patterns of denial, resistance, difficulty asking and receiving help, and tendencies toward manipulative or one-sided relational behavior. For questions of authenticity or for self-developing in community, you may consider joining my partner Silver's Intrepid Integrity Incubator or Self-Development Co-Working Space (also a partner project of InterGifted). There, you can explore your self-development in community and, in the incubator program, get professional support as you work through your own particular areas of resistance. If you don't feel ready to engage in coaching or mentoring process, or in a community or group, but you still feel you need support, gifted-specific therapy is a good option to consider. While InterGifted does not offer therapy, we will help connect you to a gifted-specific therapist in your area or one who works virtually. You can email us to get that process started. Let us know how we can support and encourage you in your process! 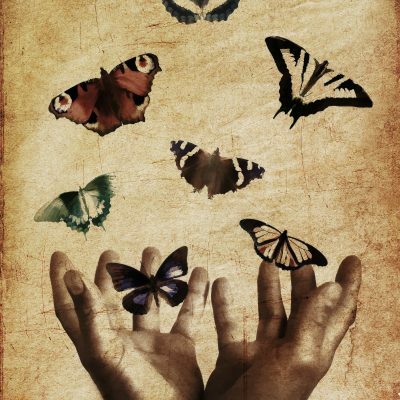 Max is an exceptionally gifted and autistic coach who supports gifted adults - and gifted men in particular - in overcoming patterns of resistance, denial and other forms of self-sabotage in their process of gifted self-development. He helps his clients learn how to heal scars and find courage and resilience in the process of coming out of denial and fully accepting their uniqueness, sensitivity, wounding and potential. He is based in Australia and works with clients around the world. Feel free to to reach out!